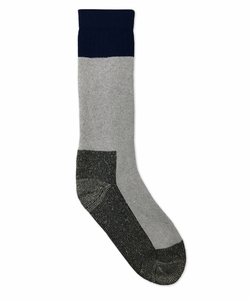 Strong and durable cushion socks. Full cushion leg and foot provide extra comfort. Navy blue stay up rib top. Ideal for outdoor sports - hiking, climbing, camping, mountain biking, skiing, outdoor trail running, backpacking, travel, trekking and other athletic outdoor activities and winter sports.